Did you know that some of the hottest money tips are right at your fingertips? There are some fantastic apps for your phone or tablet out there right now. Using your smartphone to Here are just a few, plus several reasons why you might want to use each of them. Ibotta is an app that allows you to earn money back on products you buy at a participating store. It’s really simple to use. You select products that you are going to buy in the store within the app, then go to the store and buy that item. Use your phone to photograph your receipt when you return home and the money will be added to your account. There are also videos and surveys within the app to increase your savings. Earnings can be transferred to your Paypal account whenever you want to cash out. Shopkick is an app that gives you coupons on your phone as well as rewards, some just for walking into a store! Imagine, getting paid for just walking into places you go anyway like Target, Best Buy and Old Navy! There are numerous opportunities to get additional “kicks” which lead to rewards faster. ShopSavvy is a fantastic app that allows you to scan a product’s bar code while you are in the store, then find out the price of the product online and/or the price at a nearby store. The app uses your phone’s GPS to determine your location and what stores are nearby. You can make the online purchase right from your phone right then if you like or go to the other store and get the lower price. This app saves you not only money, but it could save you the time of running all over town looking for a particular product. Not to mention the disappointment of finding out you overpaid for something! This app for travel related savings can help you find great rates not only on air fare but also on car rentals and hotel rooms. You can also set up alerts so the app will tell you when hotel rates or flight prices meet your criteria. Find out more about Kayak here. This app functions as an offshoot of the great tools available at Mint.com. It can help you keep track of your spending and remind you about budget and other financial goals. The app features great tools that will categorize your spending and will show you at a glance where your money is going. It also has a bill reminder and alerts to let you know when you have gone too crazy with that shopping spree! Talk about some great money tips! Do you know of any other great apps that offer fabulous money tips? Share them in the comments! I have actually never heard of any of the apps so I will have to check them out. These are great apps. I heard of several of these and saw a few I would like to try. Downloading these now – I haven’t heard of most of these! Thanks for this list. I am always looking for ways to save money!! This is a fantastic list of ways to save! Thanks so much! I’ve heard of all of these apps, but the only one I actually use is Kayak. Thanks for sharing your thoughts on them… I will check them out for sure! I knew of most of these – but have never bothered to use them. Maybe I really should. I get emails all of the time from Ibotta. These are great tips! I love the Ibotta app! I love Ibotta and Shopkick. It’s nice to get rewarded for something I do anyway—>shop! “There’s an app for that”, and I do mean that literally. 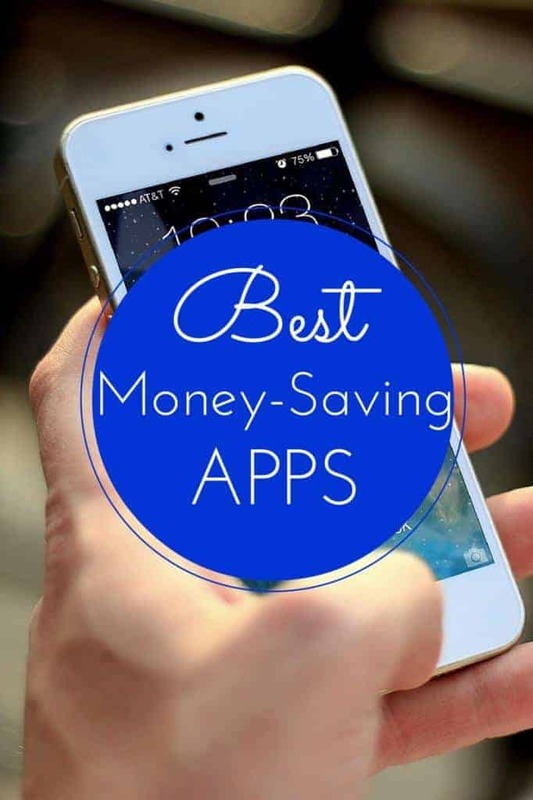 You can find an app for just about anything, and I love these that help to save money and stay on budget. Thanks for sharing! Great apps. Sounds like a good way to save money. What a great resource! I’m going to have to start downloading some of these! Lots of great ways to save money! thanks for sharing! I love money saving apps!! Retailmenot and Target Cartwheel are two of my faves!! I will check out some of these too!! I have only heard of a few of these apps. I will have to download them and start sayivng. I will definitely be checking out all these apps! Thanks for the tips. I’m never really sure which apps work best. Anything that helps me save money is a good thing! I’ve heard of some of these apps, but a few were new to me. Thanks for such a great resource! I love saving money, and I’ve never heard of some of these. I need to go download all of these asap! I am all for saving when I can!